If you’re working with SEO, you’re probably already aware of how important backlinks are for rankings. Today, backlinks are one of the most crucial and impactful search engine ranking criteria, and if you don’t continuously add backlinks from other sites to your collection, you will struggle to grow your rankings. But while acquiring backlinks is extremely important for ranking well on search engines, it’s also more difficult than ever to acquire them. Right now, everyone is working with email outreach and leveraging things like the broken link method and infographics in the hopes of getting backlinks, but since so many people are using these methods, it is now more competitive and more difficult than ever to gain effective results with these strategies. For continued traffic to your site, and improved search engine rankings, you need to consistently add backlinks to your portfolio, and in this article, I’ll teach you how to build backlinks with social media. Social media is yet an underestimated tool for marketers, whether it be for selling products or acquiring backlinks. Best of all, though, is that social media can help you with both. Today, there are more users on social media than ever before, and this number only keeps on growing. With that in mind, it doesn’t come as a surprise that social media is playing a bigger and bigger role in more and more marketers’ strategies for promoting their site and driving traffic to it. At the same time, social media is also paying a bigger and bigger role in SEO and search engine optimization as marketers learn the benefits of social media for SEO, and also to build backlinks with social media. Okay, so by now, you know that backlinks to your site play a significant role in your search engine rankings. Backlinko, which analyzed over 1 million Google search results said this ”We found the number of domains linking to a page correlated with rankings more than any other factor”. Furthermore, a survey completed by SEMrush reported that backlinks account for five of the top-ten SEO ranking factors. With that said, it doesn’t take a genius to understand that backlinks are crucial for SEO success. But how do you build them? With the ”main” backlink methods having become so mainstream, you need to find new ways to build backlinks. Fortunately, social media is a tool that is extremely underestimated and can be leveraged in an array of different ways. Very few people are getting the most out of social media when it comes to using it as a tool to build backlinks, and this also means that you are probably going to see a higher success rate in building backlinks with social media. Best of all is that social media is a cheap tool to use, which means that the strategies I am about to present work for everyone. Do social media give do-follow backlinks? This is probably the most common question when it comes to building backlinks with social media. There are two ways you can build backlinks using social media. Either by using social media as a tool to secure backlinks, or work to get backlinks from social media sites. 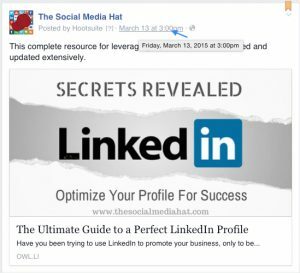 Since this is a comprehensive guide, I’ll cover it all, but what I mean by that is that when you share a regular post on most social platforms, you can include links to a site. This is often times the most popular way for people and brands looking to drive traffic, for example to their site, or just share something awesome on a website with their audience. This is very straightforward. Create a post, include a link, and share it with your audience. But do you actually get a backlink from this? Well, yes, you get a backlink pointing to your site. Since social media sites are pages on the internet just like any other, Google will index them and discover these links, but on most social media platforms, these links are no-follow. It’s quite easy to understand why these links are no-follow, as otherwise, people would have gone crazy with leveraging social media to build backlinks to their site, and frankly, that’s not good for anyone in the end. On the flip side, Google has been talking briefly about how social media impacts SEO, and social signals may influence ranking depending on the amount of engagement a link post is getting and other variables. Have in mind, though, that no-follow links aren’t necessarily bad. Search engines take note of no-follow links, and sites acquire them all the time, but while they don’t factor in no-follow links in the equation when ranking your page doesn’t mean that no-follow links aren’t valuable. In fact, no-follow links can drive valuable referral traffic to your site which can benefit you. While most social media platforms have no-follow links, not all have though, and I’ll bring up several of them further on. But now, let’s dig into how you can build backlinks using social media – both by using social media as a tool for acquiring backlinks, but also for building backlinks directly. In other words, making the most use out of social media to acquire as many backlinks as possible. Unsurprisingly, this is the number one way that people build backlinks using social media. Adding links in your profile is very straightforward and demands little effort, and so make sure you do this as a start. You can add links to your site in essentially all social media profiles, and even if these are no-follow, they are a great source of referral traffic. Make sure that you have a working link in your profile, that it leads to the right page, and that it isn’t broken. 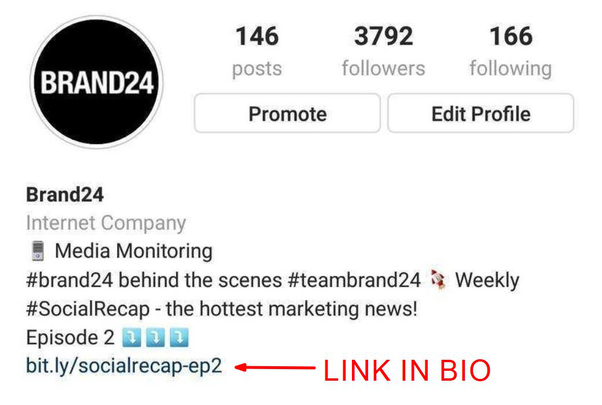 Make sure you leverage the profile links on all social media platforms you have, but also on all profiles and accounts you may have. For example, you may have a personal profile, a fan page, a group page, and so on. Now, I won’t go through each and every social media platform in this article, because the fact is that the vast majority of them are no-follow, and frankly, adding a link to your social media profiles isn’t very difficult. ”There might be a correlation between social shares and high rankings. 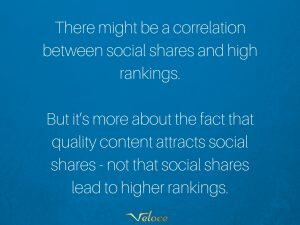 But it’s more about the fact that quality content attracts social shares – not that social shares lead to higher rankings”. What we can learn from this is that ”social signals” as we would imagine them, such as follower count and engagement is still difficult for Google to use as a ranking signal since it is easy to fake engagement, fake likes, and so on, but they still mean that quality content sees lots of social shares, and at the same time, he said that there is often a clear correlation between content that ranks well and social shares. This, however, is not because social shares lead to improved rankings. Instead, there’s a correlation between content that ranks well on Google and social shares, but there’s not a causation. While it may not be a huge surprise, social shares can help you build backlinks, drive traffic, and build creditability. Of course, this doesn’t come as a huge surprise, because the more exposure your site gets, the more people will become aware of it, and thus the higher the chance of someone linking to it. With all of this in mind, you obviously want to actively work to get social shares. The first step is obviously to start distributing your content across your very own social media platforms (more on that later), but maybe most importantly is that you should leverage your own audience and encourage them to share your content on social media. The easiest and most effective way to encourage your audience to share a post of yours on social media is by leveraging social share buttons. Include social share buttons right next to the content on your page and make them clearly visible. Make them appealing in order to convince people to click on them. By getting more social shares, the more exposure your post will get. And more exposure means more opportunities for you to build backlinks. The best of all is that this approach demands very little effort from you. Different from having to work actively with manual outreach, and so on, in the hopes of some kind soul linking to you, you can just add social share buttons to your site, kick your feet up on the table, and then wait for the results to roll in. Or… you could go to method number two to build backlinks with social media. You’re probably no stranger to the fact that guest blogging is one of the most popular ways to build backlinks in today’s SEO landscape. By guest blogging. By guest blogging on someone else’s site, you provide them value in the form of content since creating content demands both time and energy. And most of the time, in return, you get a link back to your site. Now, you may or may not have worked with guest blogging before, but either way, the process is often slow and quite tedious. Normally, you have to reach out to the site owner, ask if you can write a guest post, come up with topic suggestions, and then write one. The problem with this type of outreach and any cold outreach for that matter is that you’ll receive few responses if any. Securing multiple guest post opportunities can take months, and getting one or two backlinks in the course of a month is, while still better than zero, not ideal for building website authority. Additionally, if you were to secure guest blogging opportunities more regularly, you would need to have a whole team working with manual outreach. The problem is that this method, while still can increase your chances of acquiring backlinks, is expensive. Fortunately, there is, and it’s called social media. In this sense, you can build backlinks with social media, but it’s probably not in the way you think. No, you’re not going to guest blog on someone else’s social media page. What you’re going to do is use social media as an outreach tool to get in contact with the people who manage the website which you want to guest blog on. The first way, which will give you a much higher success rate, but at the same time will demand more time and energy, is to use social media as a tool to build a relationship with them first. The other way is to simply use social media as a cold-outreach tool as an alternative to email due to the fact that email has become quite saturated, and social media can thus be an alternative way to increase your response rate due to the fact that their inbox on social media isn’t packed. There are two ways to find people to reach out to on social media. The first step is going to Google and looking up sites in your industry. It is generally better if you identify the sites that explicitly say that they accept guest posts. The other method is to use a social media monitoring tool to find authors or bloggers in your industry. The best way to dramatically increase your chances of getting guest post opportunities is to interact and engage with them first. Once you’ve found people in your industry, start by interacting with their posts, share your thoughts, and also take this opportunity to showcase a bit of your expertise as well. The good thing about this is that when you do this, you remove the stranger label that you get when you cold email someone. This means that your email won’t be a cold-email anymore, but rather an email from a friend. As such, they’ll be far more likely to respond to it. What’s more, when you interact with them and share your thoughts, you also get an opportunity to showcase your expertise within that area. This is great news because when these people see that you are experienced and have an expertise, they will be more likely to want to have you write for them as guest post contributor. Sounds reasonable? If you’d ask me, I’d say that this is the single most valuable way you can use social media to build backlinks, and you’ll see why in a moment. Now, I know I’ve already spoken briefly about using social media to build relationships to get backlinks, but there’s so much more to it than that, and if you aren’t leveraging it, you’re definitely missing out. First off, building relationships with people in your industry is always a good idea. Strong relationships mean trust, loyalty, and all of the other warm and fuzzy buzzwords that maybe aren’t buzzwords but actually have quite an important meaning in this context. Social media is one of the best relationship tools that marketers can use, and what’s most shocking is that it is free. Now, it doesn’t take a rocket scientist to understand that you’re going to leverage social media for building relationships with people in your industry. The reason is that social media is the best way to do so. While it is possible with email, for example, it’s clumsy, slow, and inefficient. Social media is on the spot, at the moment, and allows for fast communication. Everything you may want in other words. Now, have in mind that you’re not just going to build relationships in the hopes of increasing your chances to get guest blogging opportunities, but you’re going to build relationships to increase your chances of getting backlinks. After all, the reason why we’re here is to build backlinks with social media. Then, of course, when we become a little more practical on a micro level, there are several ways to go about working to get thee backlinks. Start by identifying relevant people. This doesn’t have to be the number one leaders and the biggest industry influencers, because frankly, these people will probably not see your messages anyway, or have time to interact with them. What you want to do is identify people in your industry on social media who are medium-sized or small-sized in terms of the size and authority of their blog/website. One way to go about doing this is to use third-party apps as mentioned above. These allow you to search for industry keyword related to your niche, and then accordingly identify relevant individuals. Another way is to look for individuals in your industry without any tools. I have found hashtags and searching for terms related to my industry to be very effective. On Twitter, for example, you can use their advanced search feature to search for people talking about specific keywords, eliminating the need for a third-party tool. As for other platforms, such as Instagram, you can use the same principle but instead search for hashtags instead. The best of all is that once you’ve found one person in your industry, you can probably find many more, because these individuals, in turn, follow other people in your industry, and so on. I am staggered by how many people use social media as a promotional tool and underestimate the power it has as a relationship tool. In fact, many times you are able to drive better results by focusing on building relationships as opposed to trying to sell something. If you’re going to build backlinks with social media and want to increase your success rate when you start implementing your backlink strategy, whether it be through guest blogging or by simply asking them for it, relationships are everything. Think about it: If you were to ask your best friend for a backlink, they would probably say yes, right? On the flip side, if you do a cold outreach and beg for a backlink to someone, you wouldn’t even get a response. As such, when you’ve identified the people in your industry who could link to you, start build relationships with them. This is not rocket science, but make sure you interact with them consistently and regularly. And maybe most importantly, focus on how you can bring them value in one way or another. Because when you’ve brought them immense value over time, they’ll feel guilty if they say no when you ask them for a favour in return. The more you interact with them, the better. Start out by regularly commenting on their posts. Credit them for their good work, and compliment them on what they’ve done. Just like what I said about guest blogging, also take the opportunity to showcase your expertise and knowledge, because when you are finally going to ask them for a backlink in one way or another, they’ll feel more secure in giving such because they know your site is a great resource. Also, don’t just focus on building relationships with the ”industry leaders” in your niche. Make sure you don’t forget to interact with all of your very own fans and your very own audience because these may very well have their own website and thus include you as a resource on their page further on if you give them a reason to. The best of all is that by working to build strong relationships, some people will link to your site without you even having to ask for it. But if they don’t when you consider the time to be right, reach out to them with your proposal. But whatever you do, make sure you do it properly and in a way that presents a clear benefit to both of you. Today, the number one communications tool for people in business is email. It has tremendous traction within the business industry, but this also means that people’s email inboxes are bombarded with emails from all types of people and sources. As such, we tend to be more selective in the emails we read. Back in the days, when email was still new, everyone read every single email they received and treated it like regular mail, but as you know, now, it’s completely different. Chances are, you have quite a few unopened emails in your inbox that you have no plan on opening any time soon either. What this means is that if you reach out to someone through email, there’s a greater reason that they’ll ignore it or throw it in the trash because of the fact that we tend to be more selective with the emails we respond to and carefully consume because of the information overload we get from our email inboxes. As such, if you can find new ways of reaching out to people, it can be easier of you to get your message across and dramatically increase its chances of being responded to. No matter what you plan on doing when it comes to building backlinks with social media, try using social media as an outreach and communications tool. Generally, you’ll see a much higher response rate compared to if you reach out via email, but if you don’t receive a response on social media, the option of using email still remains. Awesome, right? The best way is to use the built-in chat features inside of social media as these allow for better communication in a more private environment. Instagram has Direct Message, for example, and Facebook has Messenger, and so on. When talking about hacks and tactics, it’s easy to forget about the tried and true methods. Something that always works is the basic principle that in order to get people to link to you, people need to be aware of the fact that you exist. And to be honest, despite this being very obvious and far from revolutionary tactic, it may very well be the most effective way to build backlinks with social media. The thing is, the more exposure you have, the higher are the chances of you acquiring backlinks. This makes sense, right? And the good news is that with billions of users on social media, it’s not like social media has any lack of attention and exposure. The only question is how you’re going to get this attention and exposure to your brand and website. First off, you need to get in the mindset of seeing social media for what it is: a communications and distributions channel. The foundation for any social media success is content. If you have no content, you have no value proposition, and when you have no value proposition, people have no reason to go to you, leaving you without an audience. This is why, first and foremost, you need to focus on creating amazing, high-quality content. Back in the days, it was enough to share average and low-quality content, but with social media being so immensely competitive, it’s simply not enough today. Nothing worth having comes easy, and so this is why there is no fixed single strategy that will help you skyrocket your exposure and build backlinks with social media. The most fundamental parts are content, engagement, and consistency, but relying on that is simply not enough if you’re looking to generate amazing results. 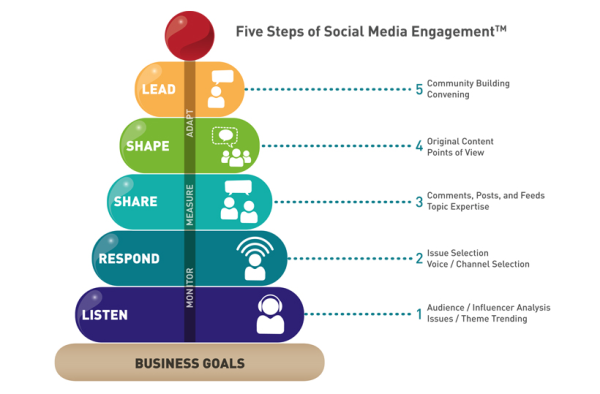 Instead, you need to work actively with a variety of different strategies and campaigns in order to ensure that you’re getting the most out of social media. Also, don’t forget to actively make people aware of your website, because while exposure on social media is great, it may not necessarily translate to people becoming aware of your site. What you shouldn’t forget though, is the importance of the content you share on social media and how huge of an effect it has on your social media success. But what should you post? This brings me to my next point…. You’ve probably created a ton of content for your website as you’re now working to build backlinks with social media. You may have created blog posts, visuals, infographics, and anything in between. As such, you know how time-consuming it is to create high-quality content. So now that you’re looking to build backlinks with social media, should you start from scratch with creating content? 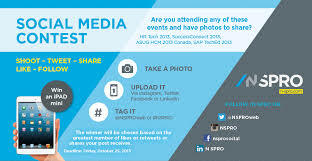 Why not take advantage of the content you’ve already created and repurpose it for social media? I’ve already talked about how you repurpose your blog content for social media, but the idea is that you’re going to take your blog content or any other content on your site for that matter and change the format so that it is suitable on social media. For example, you cannot take a complete blog post and share it on social media – well, technically you can on platforms like Facebook, but it wouldn’t be ideal because people use social media with a different mindset. This is why you need to repurpose your content, which means making use of the content you’ve already created, but turn it into a completely new, fresh format which is suitable for social media. One idea is to share quotes from your article. You can either share quotes directly as text or, you can turn it into an attention-grabbing visual. The reason why you want to repurpose your content is first and foremost because you save time, but also, it ensures that you continue to bring value with your content. When you bring value with your content, it means you have a value proposition, and this will enable you to attract more people to your social media page, and thus increase your chances of getting backlinks with social media. With an increased exposure comes an increased engagement. Now, it’s not sure that your engagement rate will e higher, but your overall engagement will be higher. Then, you can, of course, work to increase your social media engagement. Why should you increase your social media engagement, you ask? Well, at least as of now, Google doesn’t use social signals in their search rankings due to their unreliability and the simplicity of faking these numbers. But this does not, however, mean that social media engagement doesn’t benefit you in other ways, especially not when it comes to building backlinks with social media. Today, social media plays a bigger and bigger role in people’s lives, and by getting more exposure and engagement, you’ll start accumulating more shares. And best of all is that social shares mean a backlink for you, and this is something that Google pays attention to. As such, if you’re a person who says that social media doesn’t work for traffic or SEO, it might be worth considering the indirect benefits of social media which you may not think about, because these may have a substantial impact on your website’s success, without you knowing it. People are always a bit reluctant to doing things unless they don’t get something in exchange. People always ask ”what’s in it for me?”, and if you truly want to gain traction with your social media backlink and SEO efforts, you need to make sure that there is something in it for your audience. As mentioned earlier, social shares may not give you no-follow links, but with more people sharing your content, the more exposure and traffic you’ll drive t your site, and this, in turn, can lead to backlinks from other sites. 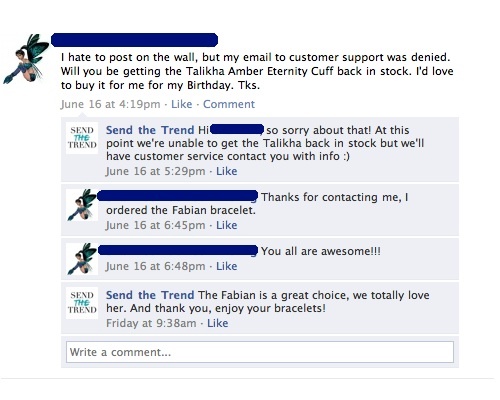 As such, this is why you want to encourage social shares as much as you can. One way to do so is by running a contest. There are several ways you can set up your contest on, but probably the most effective to get more social shares is to make the rules of entry to your giveaway to share one of your blog posts on social media. It doesn’t have to be more difficult than that. Ask your audience on social media to share their favorite blog post from your website and tag you in the post. Remember that the better prize you have, the more people will want to do it. The best part is that when people see other people sharing your blog posts for a giveaway, many will become curious and wonder what it’s all about, and this can, in turn, lead to them entering your contest. Google+ is the most popular platform to build backlinks with social media. Best of all? it can offer no-follow links. Click on the “Profile” Button. Click on the “About” Section . When you click there, you will see an edit box. Now, write a brief Description about your account and include your Website or Blog link. Well, many of the links that go to sites are invalid for various reasons. Some links may have been broken, some are misspelled, some just include your URL without an actual link, and so on. There are a ton of different reasons why the links pointing to your site may not work. Essentially, what you want to do is identify these links and then reach out to the site owner asking if they could include a link to your site that actually works. Remember that social media is a great outreach and interaction tool, so rather than doing a cold outreach using email and most likely being ignored, you can reach out to the site owner using social media and substantially increase your chances of getting a response. Doing this is a great strategy since it allows you to identify people who are already familiar with your site and brand, and have already shared content about you. As such, these individuals are the most likely to give you backlinks because they are already engaged in your site. Also, when reaching out to them, it won’t be perceived as a cold outreach. To identify these individuals, you want to track the conversations people are having about you. As mentioned briefly before, there are several tools that you can use to do this, but if you prefer manually (which is both less time-efficient and effective), you can do so as well, for example by looking at hashtags etc. Mention and Moz site explorer are two great alternatives for identifying people who have already mentioned you. When you’ve identified the people talking about you, your goal is to reach out to them and start building a relationship with them. The best way to get links from them is to provide them with something of value. One of the most common ways is to let them know about a great new resource that you’ve created that they might find value. Infographics are a common type for this, as it allows them to use it on their site and thus directly give your site a backlink, while also providing their site with valuable content. A win-win in other words. Social media offers numerous opportunities for link building, but these opportunities are indirect. Because of this, they’re normally not the top priority for SEOs. While you should certainly prioritize things like customer support and lead generation when you get to social media marketing, don’t forget that it can also help you with link building – the connection may not be as obvious, but there is definite SEO value there.